Monday 2-for-1 Meat Monday! Book! 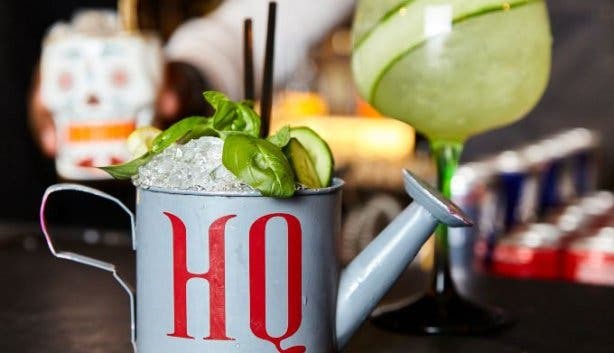 HQ, the Parisian-inspired, soulful and satisfying city steakhouse is known for its no-fuss, yet full-flavoured menu. And it’s charged at half-price on a Monday. Plus: You get to enjoy low-strum-guitar vocalists such as The River Tones, Jeremy Douglas, Louise Day and Paige Mac. Located in the heart of the Heritage Square building, HQ is devoted to a simple, yet delicious set menu of a Salad, Steak and Chips. There’s also a tapas menu available, which can be enjoyed in either the low-lit lounge area or the open-air courtyard – which houses the oldest wine-producing grapevine in the Southern Hemisphere. HQ prides itself on both service delivery and exceptional food quality. Add the #2FOR1Monday special, and you are in for an exceptional Monday. 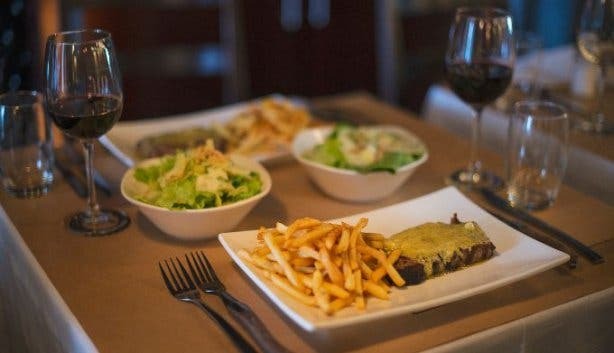 The restaurant serves a grain-fed top-cut sirloin steak covered in Café de Paris butter sauce, alongside a generous portion of skinny fries and a salad of cos and iceberg lettuce, toasted pine nuts, parmesan shavings and a Dijon mustard vinaigrette. 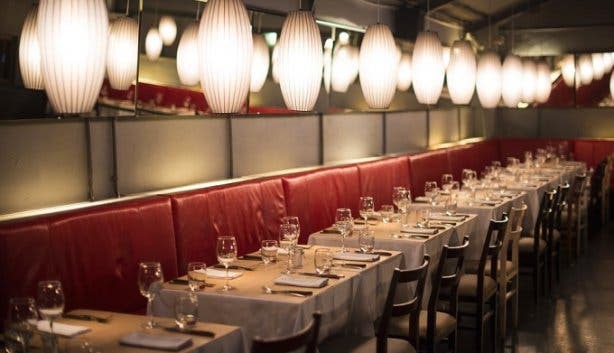 Perfect for a first date, business dinner or catch-up with a friend; the handsome cosmopolitan restaurant, the live acoustic tunes and the #2FOR1 dinner special make for an excellent evening in the heart of the Mother City at HQ on Heritage Square. Due to popular demand, the restaurant hosts two seatings on a Monday: either at 6pm–8pm or 8:30pm. Early diners are encouraged to enjoy dessert and coffee in the ambient candle-lit lounge where the live acoustic sessions kick off at 7pm. The courtyard tables are available to be booked for 7pm, as well as the couch pockets in the lounge. It fills up quickly, so ensure to make a reservation at (+27 (0)21 424 6373) or info@hqrestaurant.co.za. Also check out #HQDateNight on Tuesdays and dinner and dancing at Friday Feels. 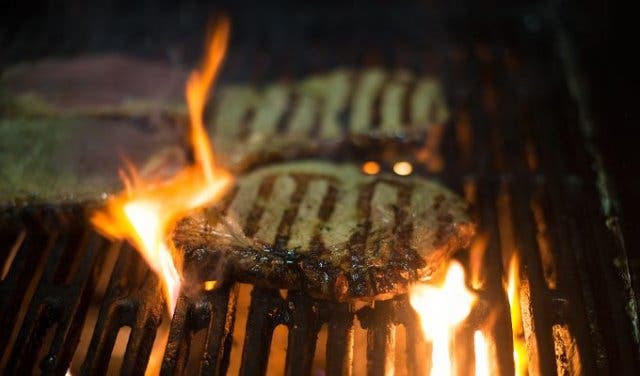 Have a look at our selection of places to get a really good steak in Cape Town. And pair it with some of the most exciting cocktails spots, cosy restaurants with a roaring fireplace and some of the nicest spots for a special date night in town. 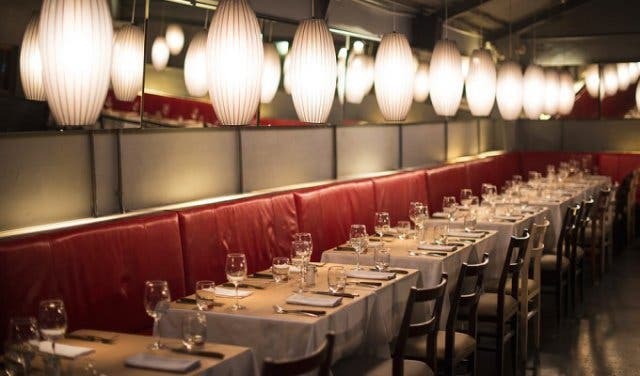 There are also some special spots to take your father out for a meal and end of year office party venues your boss will gladly approve. Also, don’t forget to follow us on Twitter, like us on Facebook, join our Google+ circle and check out our Pinterest boards for updates. Not to mention, subscribe to our newsletter to keep up to date with what's hip and happening in our pretty city.